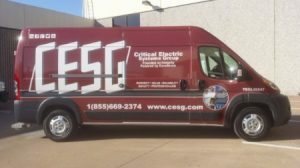 If you often send contractors, technicians, or delivery persons to an off-site location to perform work, then high-quality, durable van wraps are perfect for your business fleet vehicles. These wraps add professionalism, style, and protection to your assets. We assist in selecting the right solution for you, your needs, and your budget. Build customer confidence in your company by branding your vehicles with customized wraps showcasing your professionalism, while providing them assurance that the people in the truck are affiliated with your business, and they are there to perform work on your company’s behalf. No one likes to have a mysterious white van parked in front of their house with a stranger knocking on their door. Branded vehicles, coupled with a branded work shirt or uniform, leads to a better overall customer experience. A good customer experience will lead to better reviews, and more future business, both from that client and those they have influenced. Ever feel like you see a certain sign or business everywhere you go? 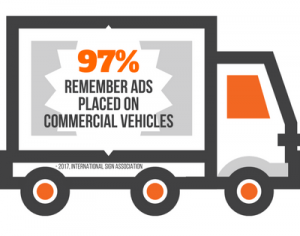 There is no better way to increase your business visibility than with professional fleet vehicle wraps. Not only do fleet vehicle wraps provide your business with a professional, cohesive brand message and appearance, they serve as a constant marketing tool that goes everywhere your team does. When you wrap your fleet vehicles in matching, branded vinyl car wraps, you basically have giant moving billboards traveling all over town, serving as a constant reminder to your existing and potential customers that your business is ready to serve them. Chances are, your work vehicles are not limited to pristine roadways. 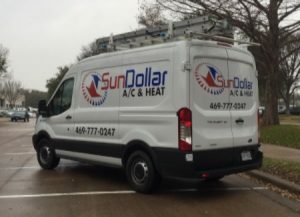 Since these high-dollar, high-value assets represent not only a large investment for your business but also the means for performing your job, it is important that you do everything you can to get the maximum lifespan and longevity from your work vans and other vehicles. Custom van wraps not only add professionalism and trust to your business, they also provide your work vehicles with a layer of protection. Our durable, heavy-weight vinyl wraps protect your factory paint job from weathering, rust, dirt, chips, and dings. If you have an issue with damage to your wrap, we can repair it to keep you looking crisp. We are a one-stop van wrap provider! We will handle all aspects of commercial van wraps from the initial consultation through installation, maintenance, and removal. Call or stop in for a Fast, Free Consultation, where we will discuss your marketing goals and objectives, and provide recommendations regarding design and material use. 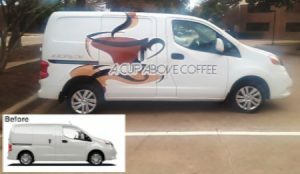 After we understand what you want, we will create a draft design showing what your van will look after the wrap has been installed, as well as provide a sample of the material that we intend to use for your wrap. If your response is positive and all information is verified and correct, we will then begin the production phase. We will be making all components of your wrap on-site, and once finished, we will call you to arrange installation with our staff of expert wrap installers. If needed, our talented staff also provides assistance with minor or major wrap repairs, removal and replacement, or fabrication of additional components or updated information. Van wraps can be an exciting addition to your fleet. Their large, flat sides provide the equivalent of a giant billboard, making them an outstanding choice for displaying a vibrant, highly visible marketing message. 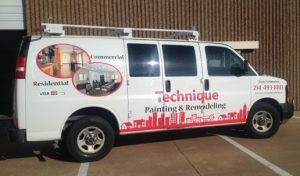 Call Irving Signs & Wraps today at (972) 325-0922 for a Free Consultation with a Van Wrap Specialist! Irving Signs & Wraps was wonderful!